Forthcoming ZSA Irish Branch sales/events. 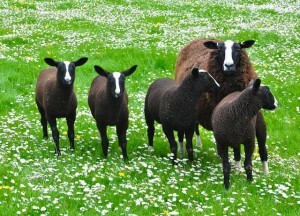 At a recent meeting it was decided that this year, as in previous years, there will be two Zwartbles pedigree sales. The first pedigree Zwartbles sale will be an export sale and is to be held on Thursday 2 August in Ballymena Livestock Mart. This will be an official ZSA sale. Only sheep from Scrapie Monitored Flocks or Group 1 Genotype (ARR/ARR) may be entered into this sale. Due to the increasing demand in Zwartbles sheep from Southern Ireland it was felt necessary to hold an export sale. Entry forms for this sale must be obtained from the ZSA Breed Secretary. In order to facilitate members whose sheep are not eligible for export but who wish to sell their sheep through Ballymena, it was decided that they could still sell their sheep at this sale. However, non eligible for export sheep must be housed/penned and sold in a separate part of the market and will be sold at the end of the main export sale. Sheep not eligible for export can only be entered for this sale through the Secretary of the Irish Branch and not the ZSA Breed Secretary. Zwartbles cross sheep will not be sold at this sale. The second pedigree Zwartbles sale will be on Friday 5 October at 7pm in Hilltown Attested Sales. This is an Irish Branch sale and entry forms will be forwarded to members by the Branch Secretary. There will be a sale of Zwartbles cross sheep at Ballymena Livestock Mart on Monday 17 September at 7pm. Members will be given more details regarding this sale closer to the sale date. All three sales will be advertised in the local farming papers well in advance of sale dates. Judging of Zwartbles sheep at Balmoral Show is on Thursday 17 May at 9am. The judge for the day is Mr Martin Preston from Yorkshire. As soon as judging is finished there will be wine and some nibbles. It is hoped that as many members as possible can attend to support the members showing sheep and enjoy a glass of wine. Travel Solutions in Belfast (telephone number 0044 (0) 2890 455030) run day trips to the Royal Highland Show. You travel by boat from Larne to Troon and then by coach to Edinburgh arriving at the show at approximately 10.30am and departing at 5.30pm. Total cost of this trip is £61 which includes entry into the show. Judging of Zwartbles sheep in at 2pm on Friday 22 June. This is an excellent trip and I would encourage members to consider going as I believe it represents very good value for money. If you are booking this trip, mention of the word Zwartbles should ensure that all Zwartbles members travel on the same coach. Due to the increase in postage it will no longer be financially viable to post correspondence to members. I would therefore ask members to forward their email address to me so that they can receive correspondence by email. If you haven’t got an email address or don’t have excess to one, I would ask that you forward several stamp addressed envelopes to me so that correspondence can be posted to you.